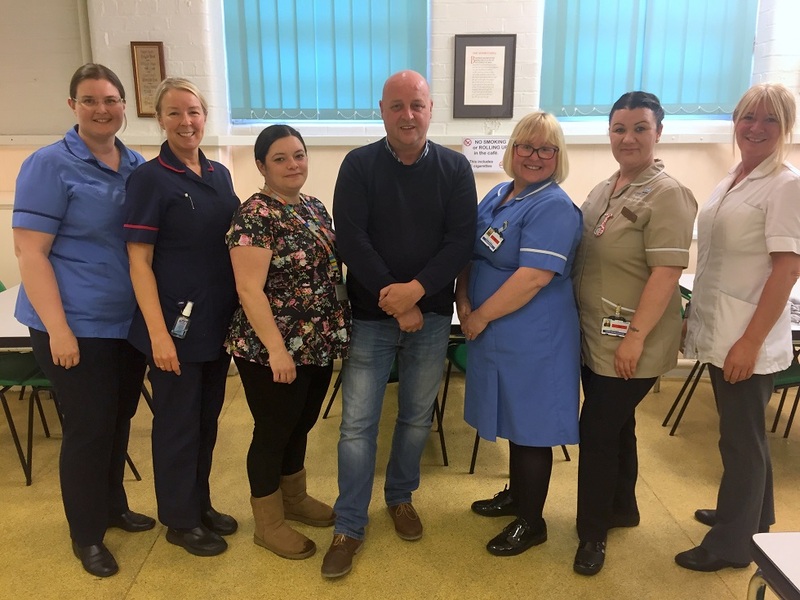 Urban Outreach Bolton – And the winner is…..
Home / Urban Outreach News / And the winner is…..
Bolton Homeless Street Watch is celebrating winning an award at the annual Bolton NHS Foundation Trust Awards night, held at The Last Drop Village in Bromley Cross. The Collaboration Award is given to the hospital team that has made the most impact on patients through collaboration with other agencies. Street Watch is a partnership between Urban Outreach, Bolton Council Homeless Welfare and Bolton NHS Foundation Trust Homeless & Vulnerable Adults Service. The three organisations started working more closely together earlier in the year, and now do joint weekly “walkabouts” around Bolton town centre. By approaching people on the streets, the team can assess their current situation, make them aware of our services, engage in conversation, build up a rapport, gain their trust and encourage them to attend our drop in clinics for further holistic assessment. People are invited to attend Urban Outreach’s Drop-in which provides housing, support and health treatment every Tuesday afternoon at the Urban Restore Centre. This service encourages those with no fixed address or access to a GP due to their chaotic lifestyles to receive attention in a safe and welcoming environment. This approach is bringing success. “John” has been an intravenous drug user for over 20 years. He had recently lost his partner to a drug overdose and he could not manage, was evited from his home and ended up sleeping rough. Urban Outreach secured “John” a privately rented tenancy, but this failed and he ended up sleeping rough again. The Street Watch team became aware of him through the walkabout and identified he had injection site wounds. He was reluctant to engage and attend treatment rooms as he had unfortunately had poor experiences in the past. Every week they visited where he was sleeping. If he was there they would try to engage him in conversation, if not there they would leave wound dressings and food. Over time the team managed to build a relationship with him and he started attending the drop in clinics. He accepted that in order to access supported housing he would need to commence a methadone programme. “John” was supported to attend Bolton Integrated Drug and Alcohol Services (BIDAS) appointments and engaged with the programme. Accommodation in a hostel was found with the condition that he engaged with services. “John” began to regularly attend health clinics. He is now meeting with Homeless Officers twice weekly and he has flourished over the last five months. He now has self-respect, gained confidence and taken some small steps on his own initiative, seeing both a dentist and an optician. “John” will be 40 later this year and his aim is to be drug free and living independently. With his determination and with the right support we are confident he will achieve this. Well done everyone! We look forward to this partnership continuing in to the future!